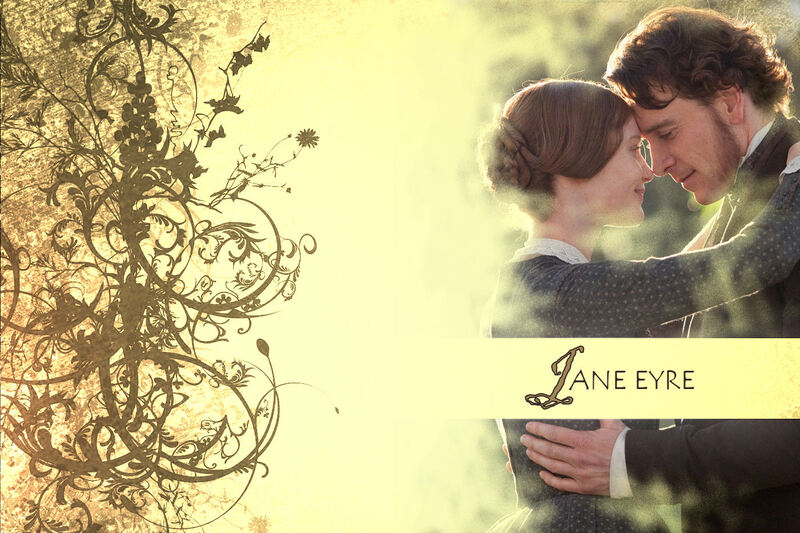 I recently watched the new adaptation of Jane Eyre (2011). (and beautiful, too, which doesn't happen in the book, but I liked watching them for two hours). I am very critical of book adaptations, and especially so when the book is one of my most favorite ones in the whole world. I happened to be in the middle of one of my rereadings of Jane Eyre, and it didn't help that I kept comparing the movie to the book. I didn't approve of it, as was expected, and I had to bang my head a couple of times on the bedpost, which was rather unpleasant. I found that it had many original phrases from the book, in fact it contained the most faithful phrases I have ever heard on a Jane Eyre adaptation (apart, of course, from the 1983 one). Also, it focused on Jane and Rochester's relationship, which was nice -I always wish these films wpuld skip the boring parts about her childhood and St. John- although it did not contain a few of my favorite scenes, and, as a result, the romance didn't seem half believable to me. All in all, it was better than I had expected it to be, and worse at the same time. So, I watched it three times almost non-stop, then proceeded to watch the eight or seven other adaptations of Jane Eyre I own, and then watched it again. Then, I made a wallpaper. You can right-click on it, as usual, although if you use it, credit would be nice. Alexandra - also thanks for following too! Have a wonderful day! Like you, I get tired of the childhood scenes and always skip them when watching other versions of the movie that I have. My favorite, favorite verisons have Ciran Hines and Toby Stephens as Mr. R., but I thought Michael F. brought an interesting "behind the eyes" cynicism that I haven't seen in the other actors. Cathy, thanks for your comment. I agree with you, obvisouly, but I always make excuses for flims that are book adaptations, like this one, because I love the fact that they fill my head with images from the book. They make me dream. And this movie totally did that. Hi Alexandra! I wanted to let you know that I've awarded you "The Versatile Blogger Award" on my blog, http://gwendolyngage.blogspot.com/ Congratulations!